Founded in 1974, Beth-El Zikhron Yaaqov Industries Ltd. has been a leading designer, developer, and manufacturer of ventilation, CBRN (Chemical, Biological, Radiological and Nuclear) protection systems, blast protection equipment, air-cleaners for heavy engines, and medical isolation systems. Being almost 100% vertically integrated, Beth-El develops and manufactures an entire line of sub-components and keeps all technologies in-house, beginning with electrical motors, blowers, metal bending and forming, CNC-punching, CNC-milling, CNC-turning, robot welding, as well as plastic and polymer processing, gear cutting, aluminium die casting, plastic injection moulding, vacuum forming, surface treatments, powder coating and CARC finishing, electrical / electronic components and PCB, and software programming, etc. This includes even tools and other apparatuses for production and prototyping, such as moulds for plastic and aluminium and blanking and drawing dies, etc. Controlling all these technologies in-house, Beth-El Zikhron Yaaqov Industries Ltd. is able to tailor products exactly to customer needs, balancing trade-offs carefully, and providing a holistic solution to the customer. 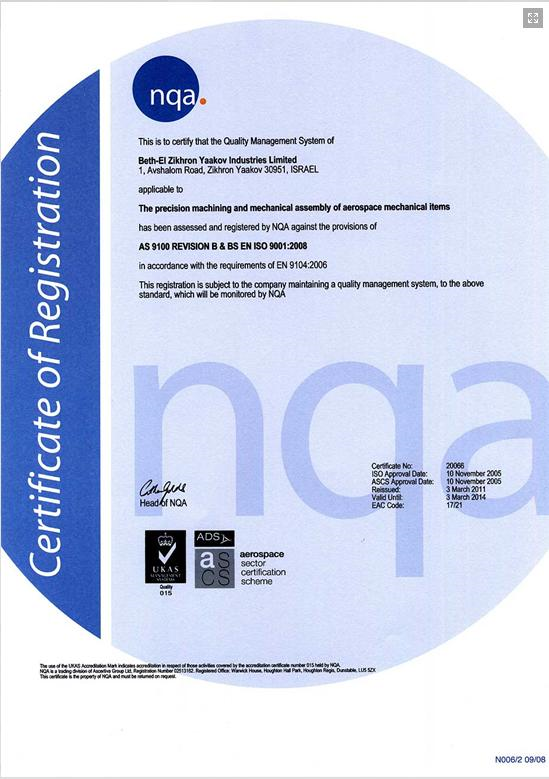 Beth-El Zikhron Yaaqov Industries Ltd. has maintained the highest certification levels with the certified quality assurance program (ISO 9001) since 1995. Additionally, Beth-El has undergone successful quality control audits from several other highly regarded international companies and authorities. 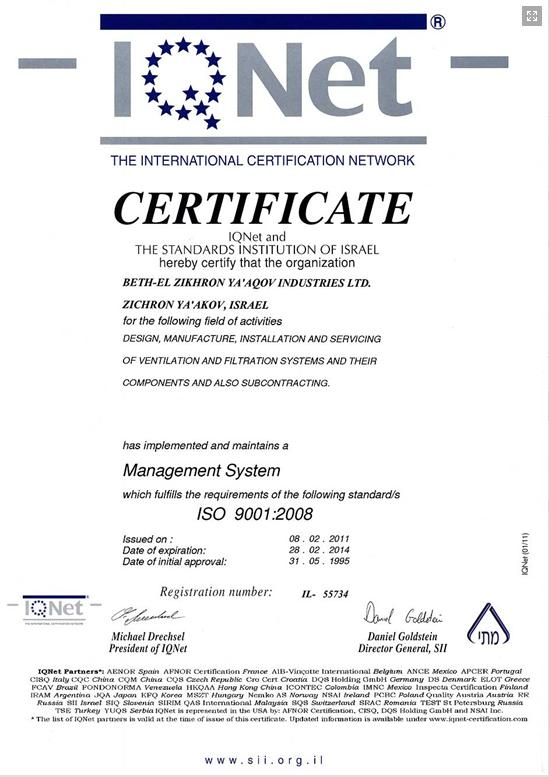 Certified for compliance with AQAP-2110 and MANHAR level A, which is the highest level of quality assurance of the Israeli Ministry of Defence, Beth-El is listed as a supplier, and also holds the NATO supplier’s code manufacturer (NSCM) number SH785. All systems are tested and certified by relevant authorities, such as the Standards Institution of Israel, Israeli Civil Defence Command, Israeli Institution for Biological Research, U.S. Army Research, Development and Engineering Command – Edgewood Chemical and Biological Centre, the German Armed Forces Scientific Research Institute for Chemical and Biological Research (WIS), the Swiss Federal Office for Civil Defence (BZS), the TNO laboratories, and many other institutes and armies. With systems in operational use all over the world (more than 80 countries), having provided for diverse and the most unique needs of civilian and military customers – combining system design, integration, and application – and with the experience of mass use, deployment, and battle-operation of, concurrently, tens of thousands of its systems, Beth-El Zikhron Yaaqov Industries Ltd. has become one of the most experienced companies in its field. Beth-El Industries’ products are installed in more than 120 different vehicle types. 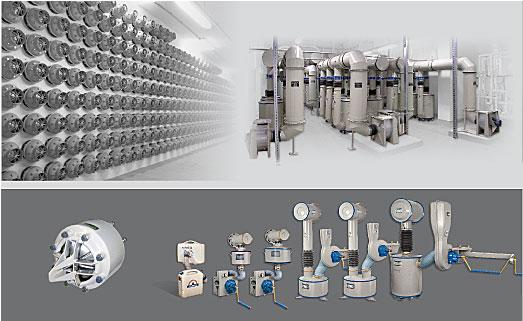 Beth-El Industries’ systems feature the highest protection factors, while offering the smallest possible volume, reduced power consumption, and extremely low noise levels. Just to name a few of Beth-El’s unique features, the technology is distinguished by its easy integration, reliable around the clock— ‘24/7’— protection capabilities over years, long life filters, and operational CAN-Controllers. 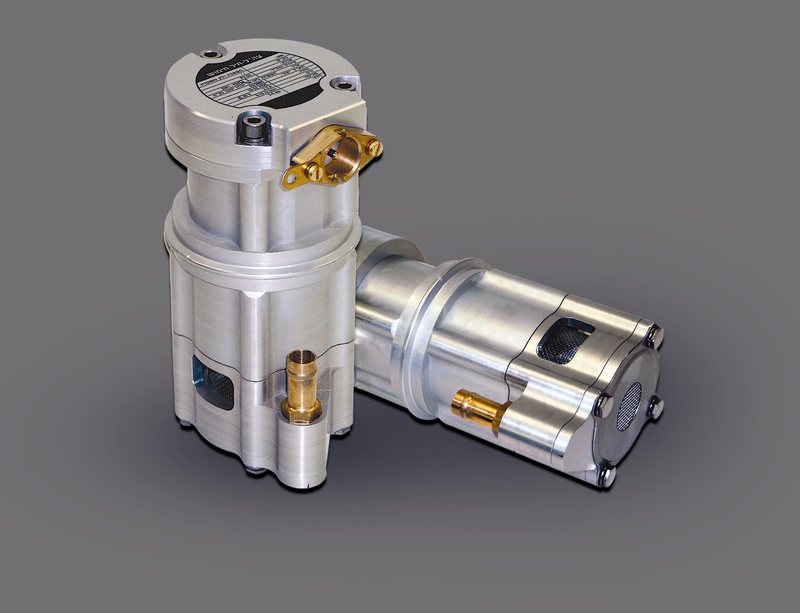 Beth-El Zikhron Yaaqov Industries Ltd. offers highly efficient, compact fuel pumps for heavy duty vehicles and tanks. 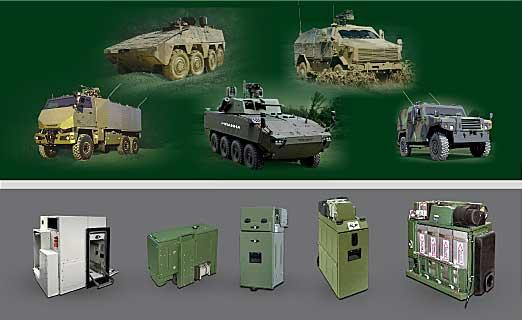 Beth-El Zikhron Yaaqov Industries’ systems have been integrated in a wide variety of military and civilian vehicles. 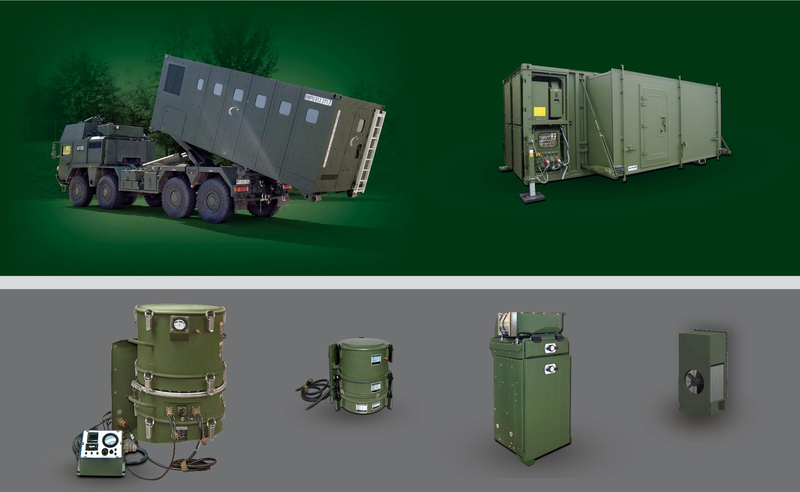 Beth-El has provided, to dozens of armies, complete turn-key projects such as field hospitals and command posts, which include the NBC-Protected tents and all ancillary items (air conditioning units, generators, showers, toilet systems, illumination, etc.). As well, Beth-El offers its unique NBC filtration systems to tent manufacturers for integration into their tents. Beth-El Zikhron Yaaqov Industries Ltd. offers unique, highly efficient heavy duty filtration systems for container application. At present, Beth-El has provided many armed forces with thousands of these systems. Beth-El Industries’ systems provide easy integration and excellent protection levels with low power consumption and noise level. 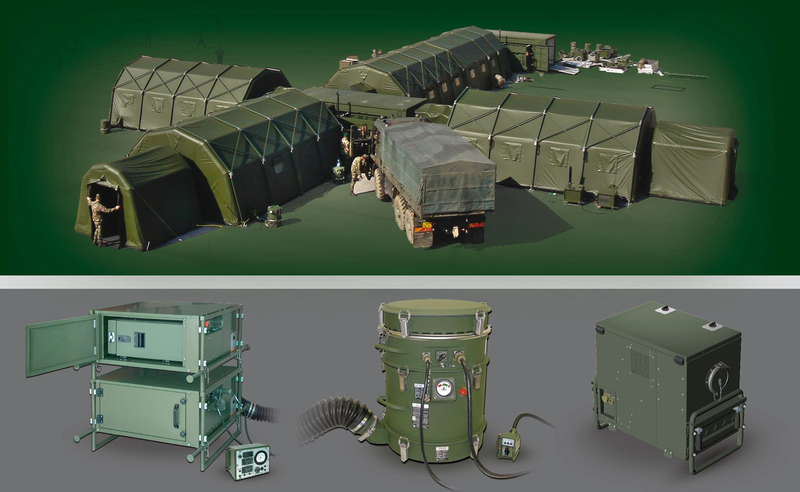 Beth-El Industries offers a wide variety of different protection systems from small rooms up to large scale collective bomb shelters. 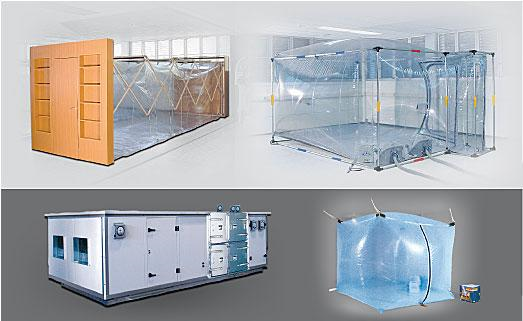 Beth-El Zikhron Yaaqov Industries Ltd. has installed tens of thousands of shelter protection systems worldwide. Beth-EL Industries has a vast range of products to retrofit existing buildings with protection systems, as well as protecting the central air conditioning of buildings with around the clock— ‘24/7’— protection. 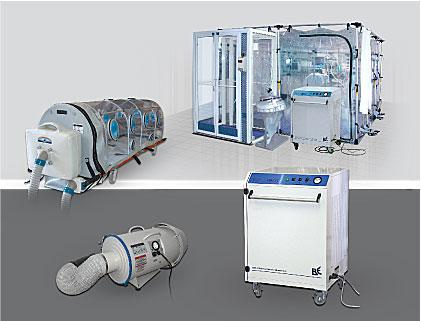 Beth-El Industries provides mobile biological air filtration for the medical sector. Beth-El Industries’ solutions have been used in all the recent outbreaks of contagious diseases (i.e. SARS, Avian-flue, TB, etc.) and are used by military and civil hospitals as well as first responders in humanitarian operations around the world with great success.